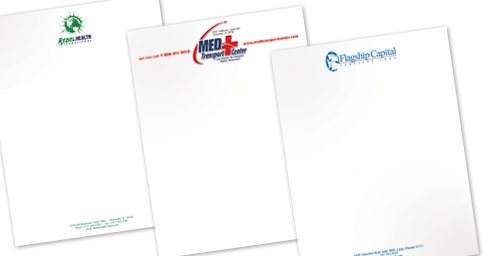 Sharpen your image with high quality letterhead. We offer fine opaque stocks as well as Classic Linen®, Laid® and Crest®. The choices are enormous. If you don’t see what you want, ask - we will get it for you.